Congratulations to eighth grade students, Robert Farbman and Samantha Cantalupo, who are the recipients of this year’s Connecticut Association of Public Schools Superintendent (CAPSS) Award. The award is based on community service, academic achievement, and leadership. Superintendent, Dr. Charles Dumais, presented this award at a ceremony held at the Amity Board of Education meeting on November 13, 2017. Robert Farbman is a responsible and enthusiastic student who continually exhibits maturity and determination in all of his academic classes. He is an insightful student who displays sensitivity towards his classmates. Robert acts as a role model for his peers, is helpful towards other students, and emerges as a leader both in and out of the classroom. He is an active member of various organizations including the Amity Middle School Bethany (AMSB) Debate Club, where he demonstrates an outstanding ability to reason and present an oral argument, and the Welcoming Committee, in which he helps new students feel comfortable at AMSB. Robert has volunteered as a peer tutor this year and has been very helpful in working with other students. His enthusiasm for learning and helping his peers is a tremendous asset. Furthermore, Robert has demonstrated his community service through his work with refugees in our area. 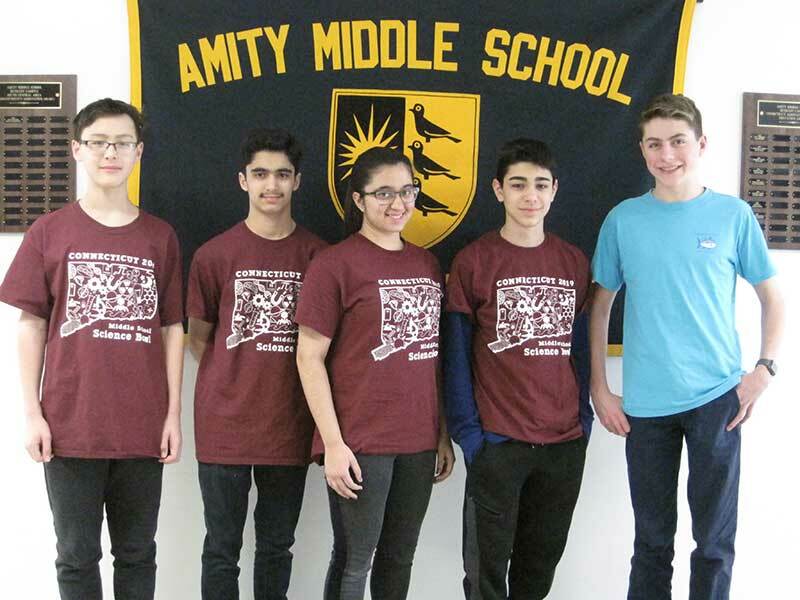 Through both his academic achievement and community activism Robert exemplifies the values of Amity Middle School in Bethany. Samantha Cantalupo continually exhibits her leadership in and out of the classroom. 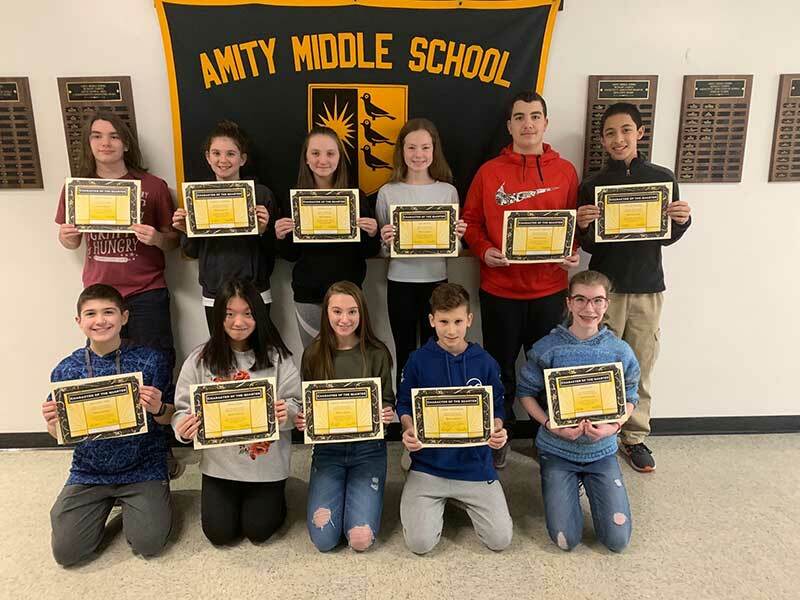 Samantha brilliantly displays the values that the Amity Middle School Bethany community strives to nourish: accountability, motivation, independence, trustworthiness, and being your best self. In school she consistently earns honors in both academics and citizenship. She motivates others with her positive attitude, encouragement, and delicate manner. Samantha is a member of the Welcoming Committee where she is well suited as an ambassador who eases new students into a new situation. Samantha also volunteered as a tour guide at our Back to School Night. She is also a highly sought after peer tutor where her patient and calm demeanor is valued by many of her classmates. Outside of school Samantha excels as well. She will soon become a second degree black belt in Tae Kwon Do and volunteers as an instructor teaching young students. 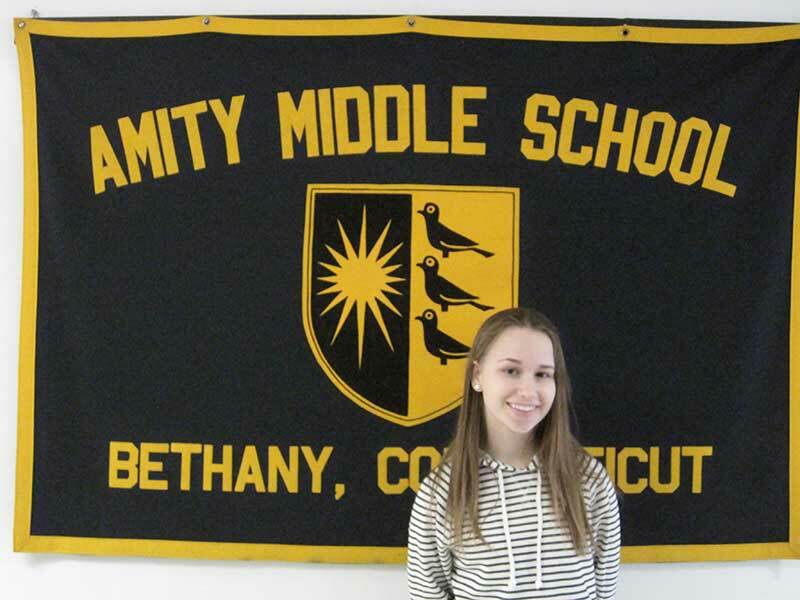 Samantha’s genuine positive energy, her enthusiasm, kindness, and diligence make her an outstanding representative of Amity Middle School in Bethany.